Cool Roof Vs. Green Roof: What Makes Them Great? These days, minimizing your carbon footprint also means changing your roofing system. This could be done by installing either a cool or a green roof. While they are two completely different things, they can benefit your home and the environment. Let’s discuss each roof type and outline their benefits. This type of roof is usually installed brand new during a roof replacement or installation. However, existing roofs can be retrofitted to become cooler, either by using roof coatings or by installing cool layers onto an existing roof. A cool roof reflects infrared (and, in some cases, ultraviolet rays) from the sun away from the home. In doing so, less heat is absorbed into your home via the roof. The benefits of a cool roof are related to maintaining a cooler temperature within the home. In indoor spaces cooled by air conditioning, a cool roof can help by reducing the ambient heat conducted through the roofing system. This reduces the room’s reliance on air conditioning. A cool roof can also contribute, however marginally, to the temperature stability of a region by reducing the urban heat island effect. A green roof, on the other hand, is a regular roof converted into an overhead farm or garden. The roof can either be installed as a green roof upon roof replacement or roof installation, or retrofitted into a sustainable green roof. The most basic considerations in setting up a green roof are ensuring the plant life above is exposed to enough sunlight to promote growth and that there is enough water to keep the plants from drying out and dying. Green roofs should also take measures to prevent leaks and the exposure of the home’s interior to any fauna that could take up residence in the green roof. This is why you should ask your roofing contractors about retrofitting your current roof with a green component. Despite the many considerations, the general benefits of a green roof are equally as plenty. For starters, it cools down the interior of your home since the roof has two additional layers of insulation: the soil and plant life. Plants can absorb sunlight as they need it to survive while the soil acts as a natural insulator, which means it can reduce heat transfer. Secondly, soil serves as a natural protection from rain-induced leaks. The soil slows down water running off your roof while the plants can absorb some of the water as nutrients. At Kroll Construction, we can help you with the installation and repair of a cool or green roof. 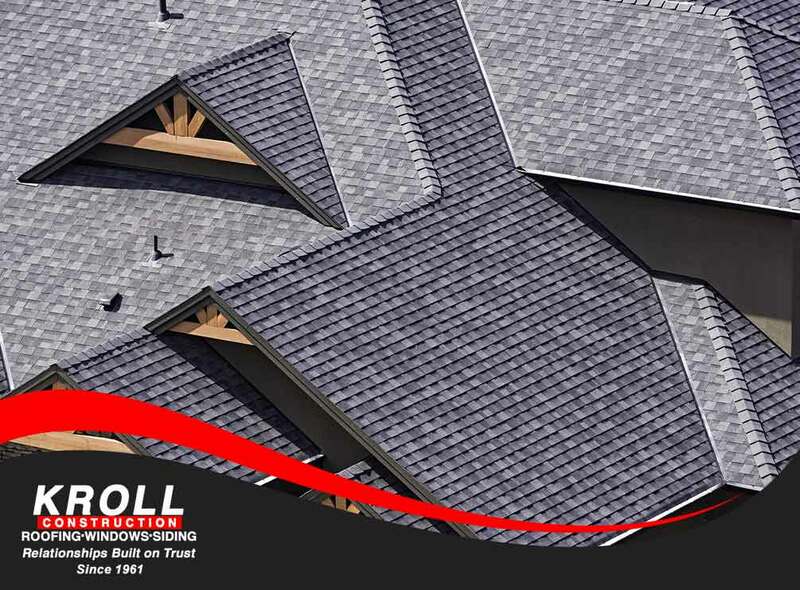 We can even help you decide which roof fits your home. Call us today at (844) 688-9632 to schedule a FREE consultation. You can also contact us via this form. We serve residents of Detroit.